Im sure Jay & Bey may be the first to take Richard up on this offer! 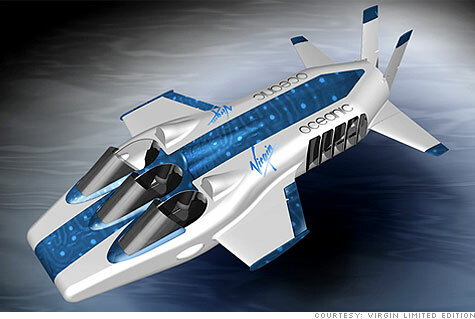 February 4, 2010: 7:43 AM ET NEW YORK (CNNMoney.com) — Virgin unveiled the latest addition to Richard Branson’s luxury fleet on Friday: an underwater plane that will fly riders into the depths of the Caribbean Sea. Guests on Necker Island, a retreat in the British Virgin Islands, will be able to dive underwater in a submarine dubbed the Necker Nymph for $25,000 a week. But that’s only after shelling out around $300,000 for a one-week stay on Necker, the private island owned by billionaire and Virgin Group chairman Richard Branson. Beginning on Feb. 20, two riders and a pilot will be able to take the plunge from land or from a boat. The underwater plane uses the downward pressure on its wings to fly through the water for up to two hours at a time, while an open cockpit will give riders a 360-degree view. The Necker Nymph’s typical speed is 2 to 5 nautical miles per hour and it can dive more than 100 feet, said Karen Hawkes, a spokeswoman for Hawkes Ocean Technologies, the company that designed the Nymph. A statement released Friday by Virgin Limited Edition, the luxury arm of Virgin Hotels, described the Nymph’s launch like a plane’s takeoff. “Gliding on the water’s surface like an aeroplane on a runway, one of the three pilots will operate the joystick to smoothly dive down.” Vacationers will be able to fly the Necker Nymph while chartering the Necker Belle, Branson’s 105-foot yacht, or the submarine can be launched from shore. Necker Belle is rented out to guests for $88,000 a week, bringing the full Necker Island experience to more than $400,000 per week. Underwater flight Riders must follow SCUBA procedures and be trained or accompanied by a certified pilot before entering the underwater plane. SCUBA tanks are mounted in the submarine and passengers must wear masks while underwater, said Hawkes. The Necker Nymph claims “near-zero” environmental impact because its “positive buoyancy prevents the sub from landing on a reef, and its low light and noise emissions ensure the fragile ocean ecosystems remain undisturbed,” Virgin said.